As a non-profit organization, Brazilian Voices relies almost solely on sponsorships, grants, and funds obtained through advertisements and donations. Members are not compensated, and all proceeds are applied to the development of new projects and programs, supporting the Brazilian Voices’ mission of promoting philanthropic events for the community. The Program described below represents an alternative source of income. 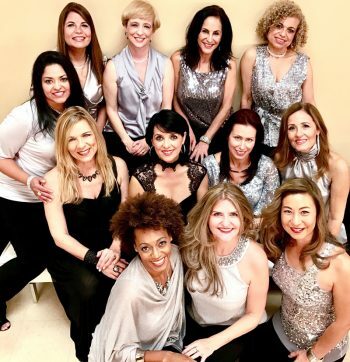 Responding to requests to provide musical entertainment in private gatherings and corporate events, while sharing the love for delightful music with clients, co-workers, family, and friends, the group has created Brazilian Voices Customized Performances. Brazilian Voices offers flexible configurations from the original group of more than 40 singers to smaller ensembles according to the type of event, venue, or budget. Custom formats that easily accommodate your event range from a group of six singers performing live, at the sound of a pre-recorded instrumental playback, to a complete 25-voice group accompanied by a jazz quartet. Performances are tailor-planned according to the desire of the customer, size, and characteristics of the venue, allowing for a full enjoyment of this award-winning vocal group.